CNC or Computer Numerical Control machines have been in existence since the early 1970s. CNC machines replace or work in conjunction with some existing manufacturing process(es) and they are in widespread use the world over. The introduction of reasonably priced CNC machines dramatically changed the entire manufacturing industry as curves suddenly became as easy to cut as straight lines and complex 3-D structures were quite easy to make. CDC machines also drastically cut the number of human-assisted machining steps that were once required to be done many manufacturing applications. The CNC machine just needs to be set up and put into operation and from there it is quite easy to keep it running. As a matter of fact boredom often sets in for many CNC operators during the extended production runs because they have very little to do. However, CNC operators do have to do other tasks such as measuring pieces and adjusting the machine to keep it running well. For anyone in the manufacturing sector, purchasing used CNC machines is a very cost-effective action to take. One company that has been in business for many years is ReSell-CNC. President and CEO John Butz has over 18 years of experience assisting manufacturing companies in selling their surplus machinery. John has an outstanding reputation and has worked with numerous manufacturing plants the world over in helping them to manage their surplus assets. ReSell-CNC offers used CNC with over four decades of experience in buying and selling used CNC lathes, mill machines, boring mills and other types of machinery commonly used in machine shops of all sizes and types. It used to be that machine shop operators had to purchase new machines simply because they had no idea how to go about finding used CNC. Thank goodness ReSell-CNC came into existence because now you can shop from home. The website is very easy to use and set up in such a way that you can locate the machine you need in numerous manners. You can shop by manufacturer name or conduct a Quick Find search which asks you to use keywords to find the product you are interested in buying. 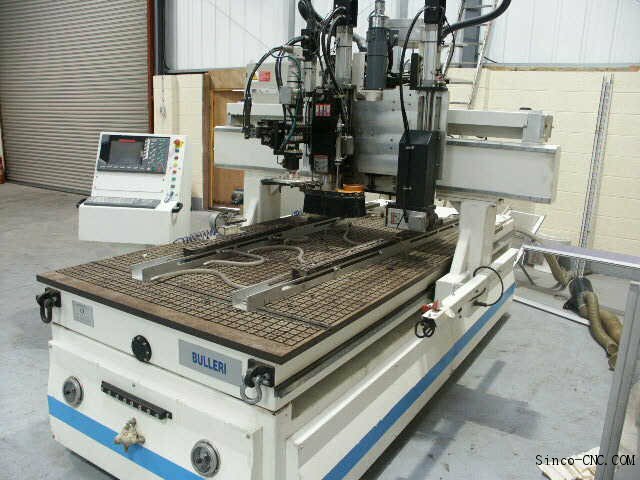 Another great feature to take advantage of is registering for notices of upcoming auctions which feature used CNC machines. This way you will be ahead of the competition and will be able to look the machines over and decide upon a bidding strategy that will help you to obtain the machine at a great price. If your company is interested in selling CNC machines, give ReSell CNC a call. The dedicated staff has a true market understanding of manufacturing machinery and equipment which includes those few, unique items that are important to the bottom line figures of any manufacturing company. ReSell CNC will help you along every step of the way of the asset disposition process from beginning to end. It does not matter if you wish to sell hundreds of items or just one used CNC, ReSell CNC has the connections and resources at their fingertips to readily take care of and manage the entire process.